I understand that an Attic red-figured Nolan amphora attributed to the Harrow painter was seized from a New York Gallery on Friday. 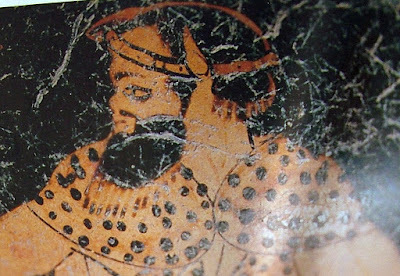 It shows a satyr with thyrsos. The amphora features in Royal-Athena Galleries, Art of the Ancient World xxvii (2016) no. 100. Royal-Athena Galleries 2000, sold in 2002; Art of the Ancient World xi (2000) no. 90. The Becchina archive suggests that it was acquired on 15 March 1993. I am grateful to Dr Christos Tsirogiannis for the information about the seizure.